Dave Bowers | Wolfeboro, NH | info@coinappraiser.com | Federal coins and paper money; American coins of all eras; Numismatic history; American financial, economic, and political story. Career Achievements & Qualifications: David Bowers has been in the rare coin business since he was a teenager in 1953. He is chairman emeritus of Stack’s Bowers Galleries and is numismatic director of Whitman Publishing LLC. 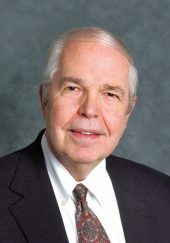 He is a recipient of the Pennsylvania State University College of Business Administration’s Alumni Achievement Award (1976); he has served as president of the American Numismatic Association (1983-1985) and president of the Professional Numismatists Guild (1977-1979); he is a recipient of the highest honor bestowed by the ANA (the Farran Zerbe Award); he was the first ANA member to be named Numismatist of the Year (1995); and he has been inducted into the ANA Numismatic Hall of Fame. In July 1999, in a poll published in COINage, “Numismatists of the Century,” by Ed Reiter, Bowers was recognized in this list of just 18 names. He is the author of over 50 books including several on gold coins, hundreds of auction and other catalogues, and several thousand articles including columns in Coin World (now the longest-running by any author in numismatic history), The Numismatist, and other publications. He has been important in the presentation at auction of the most valuable collections ever formed, including the Ambassador and Mrs. Norweb, T. Harrison Garrett (for The Johns Hopkins University), Harry W. Bass, Jr., John J. Ford, Jr., and Louis E. Eliasberg. He is a trustee of the New Hampshire Historical Society and a fellow of the American Antiquarian Society, the American Numismatic Society, and the Massachusetts Historical Society. For many years he was a guest lecturer at Harvard University. In Wolfeboro, NH, he is on the Board of Selectmen and is the town historian. Personal: Discovered the world’s greatest hobby in 1952. Began part-time dealer as a young teenager in 1953. Attended first ANA convention, Omaha, 1955 and all ever since. No one has come even close. Published first catalog the same year. Started Coin World column in 1961—still the best-read CW column many, many years later in 2016. For longevity, no column as come close. Hundreds of auction catalogs, over 50 books, most award-winning. Handled the vast majority of America’s greatest collections. Via Phone: To contact Dave Bowers, please call 917-692-3830. Please know that it is hard for us to help you without seeing an image of what you have. Please only call Dave if you have sent a picture previously. Via Text: To contact Dave Bowers, please send your message to 929-265-7332. Please send a clear image of the front and back of the coin you would like appraised so that Dave can see the condition of the coin. Via Email: To contact Dave Bowers, please email info@coinappraiser.com. Please send a clear image of the front and back of the coin you would like appraised so that Dave can see the condition of the coin.